A third gigantic hole has appeared in northern Russia, baffling scientists. Seeing meteors? Delta Aquarids peak this week! 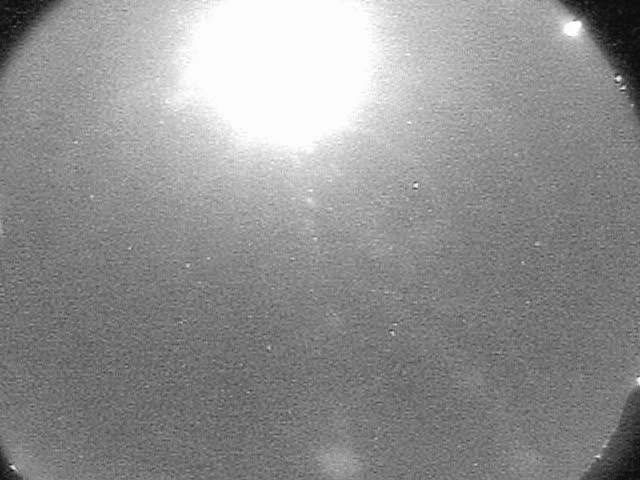 This Bright Leonid Fireball Is Shown During The Storm Of 1966 In The Sky Above Wrightwood, Calif. 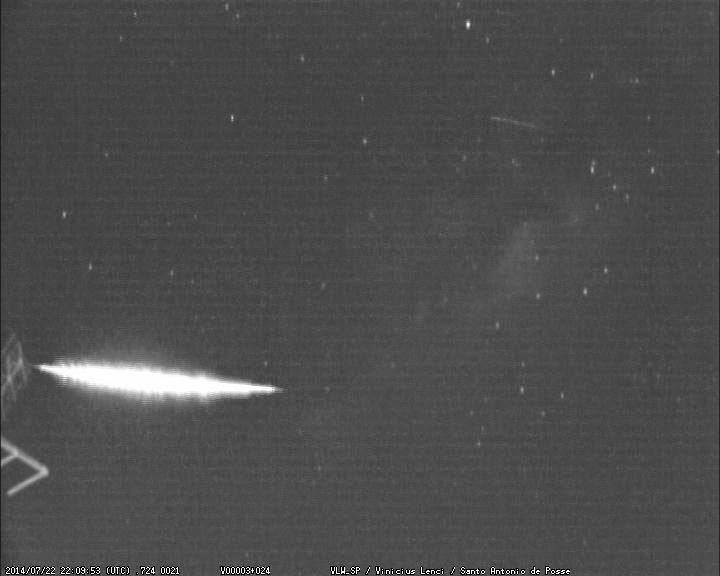 The Leonids Occur Every Year On Or About Nov.
"click on image to enlarge"
Please help get the word about this event so that we might recover security camera video or cell phone captures; spread the word about this website via Facebook, Twitter, YouTube, Reddit, GLP, SOTT and your favorite forums; contact your local news outlets and tell them about this website; thank you! That was the Perseids, often the best of the year's meteor showers. It will arrive again Aug. 10-13, with the peak time from 1 to 4 a.m. on Tuesday, Aug.
Second was a double meteor, also to my north, at 11:08:56 UT. This event was also captured by the OKC Sandia Sentinel AllSky, James Beauchamp. 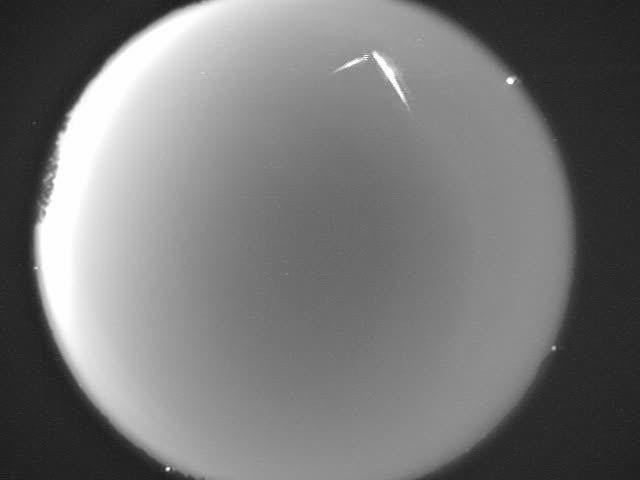 Sao Paulo, Brasil Bolide Meteor 22JUL2014. 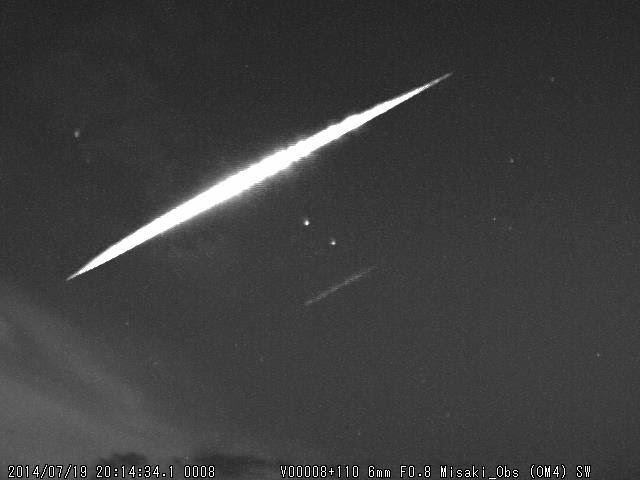 Sao Paulo, Brasil Bolide Meteor 19:09 Local 22JUL2014 Asteroid Grazes Atmosphere! 23JUL2014 Dillon Davis Henryetta, Oklahoma 130 2 seconds i was facing north it was heading west southwest orange red like a bright venus no very bright very fast heading to Oklahoma city. 23JUL2014 Michael Hunt Ellsworth, Ks 67439 0053 CST (GMT-06:00) Central Time (US & Canada) Approx. 5 seconds E/NE-W/SW I was facing East when I first saw it Orange glow, like a fireball Bright as headlights of an oncoming train No fragmentation that I could see I woke up to step outside, and looked up just in time to see a fireball quietly shooting at several thousands of miles per hour (judging from the speed of airplanes flying at that altitude) from the E/NE to W/SW at 0053 hrs this morning, directly over Ellsworth Ks. Did ANYBODY ELSE see this too? Is it a single meteor, space junk falling from space, or a UFO crashing down to earth, and WHERE did it crash down on land? It was going too fast for me to even pull my phone out of my pocket to video it. It had NO sound to it at all. Alert- Increased Bolide, Fireball and Meteor activity expected through 10 JULY. Cameras ready?! There are 4 5-6 7 known NEO Asteroids discovered that will pass within approximately 10LD or less, LD stands for "Lunar Distance", in the month of July; expect that another 5-10 or more NEOs will be should have been! discovered before month end. Be ready for some bolide, fireball, and meteor activity! Please help get the word about this event so that we might recover security camera video or cell phone captures; spread the word about this website via Facebook, Twitter, YouTube, Reddit, GLP, SOTT and your favorite forums; contact your local news outlets; thank you! Tell them about this website and event. 22JUL2014 jeremiah woodbeck Selkirk NY 9:59 EDT 4 seconds upper left to bottom right none very bright halfway through sighting it split into two split like a "y"
22JUL2014 Ziggy Sutton, Ma USA 10:20 PM EDT 10 secs nw to se bright white as bright as the moon no It seemed to be pretty big, the light burst was bright. All three people in the car saw it. 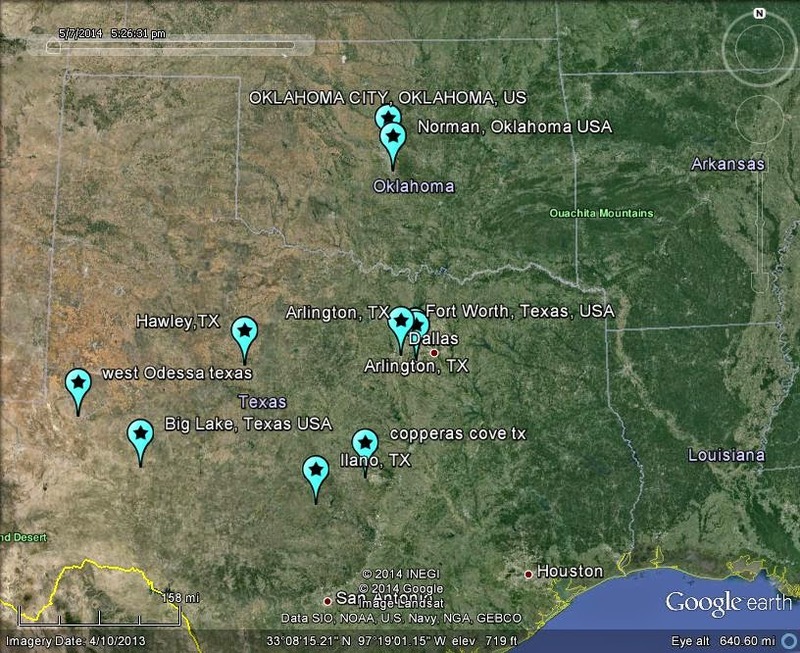 11 Meteor Sighting Reports! 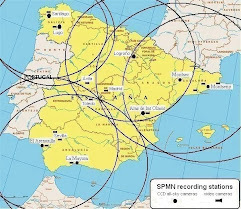 - Radio interference reported. 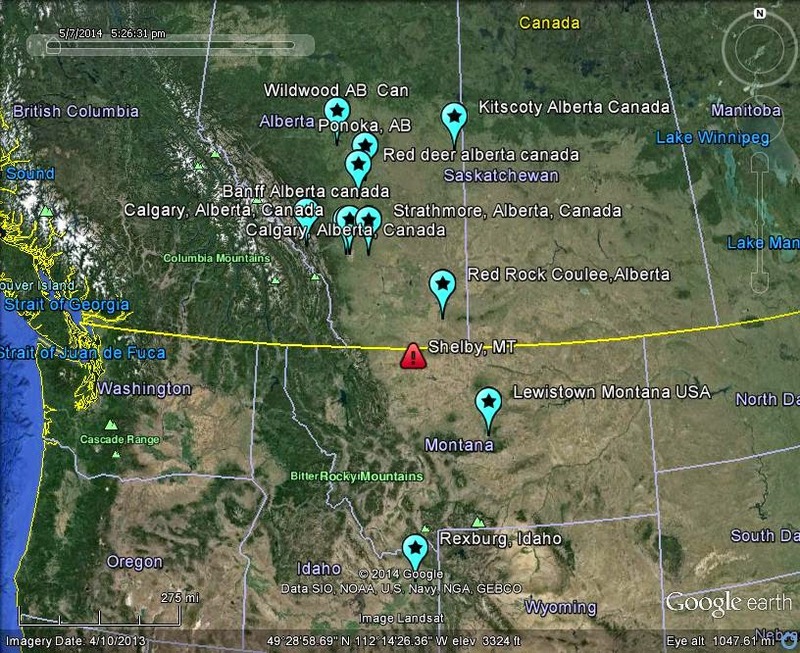 22JUL2014 David Hennessey Calgary Alberta Canada 01:33 Mountain AM Perhaps 10 sec. 15 maybe East to West Saw streak of light very long. Very long. With round front and long tail. Front seemed to burst ?! Then tail section glowed very bright in sudden flash. Like high beams of car. Then started to fade out but visible for some time. I was on back deck when saw. I couldn't believe my eyes so was watching very close. The light got so bright it actually scared me for a moment. Started like moon. Burst went like sun or more. Insane bright. No. Looked like front may have burst ? I have not seen anything like this. I have witnessed shooting stars. This was far more bright , intense and scary then anything. It literally scared me the burst of light. I am a 40 year old man. For two hours now I have checked online and local news to see what this was and nothing. Insanely crazy. Wow. Once in a lifetime !!!!!! 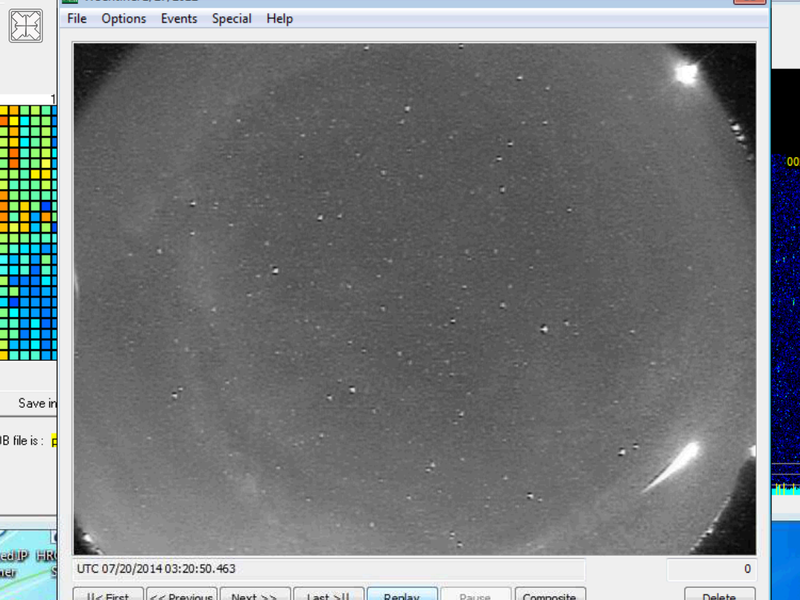 22JUL2014 Kraay Banff Alberta canada 1:15:00 Approx 5-10 secs N-S,left to right. I was heading east Bright green with a train that seemed reddish and fizzed out to orange/rust colour before fading out. Thought it heard a sound like hissing almost. Very bright! More like the moon Didn't seem so No photos. I was driving. Was in the middle of nowhere so it was very dark and it was one of the most incredible things I've ever seen. Wished it lasted longer. 22JUL2014 Nathan Lefsrud Calgary, Alberta, Canada ~0130 MST Around 10 seconds. WSW from left to right It was a huge meteor, and it exploded in the atmosphere brightly enough to light up the night sky. 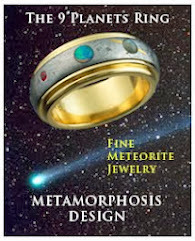 For a few seconds, it had a glowing blue tail, and the meteor itself exploded into a shower of red and yellow. Much brighter than the planets, I'd say on par with the brightness of the Moon. 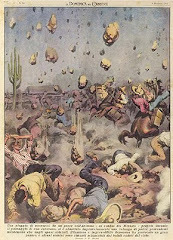 At the moment of explosion, it looked as though it was a very large and nearby lightning strike. I can't say about before the explosion, but it shattered into many pieces. None that I can think of. It was quite extraordinary, though. 22JUL2014 Shayla Vizbara Strathmore, Alberta, Canada 1:24 AM MDT 4-6 seconds Facing S.E travelling S.W Bright blue flash of light, lit up the sky, shrunk to an orange ball of light and shot off leaving a bright blue trail behind. Initial flash was brighter than lightning, the orange ball looked like a street lamp, the blue trail was as bright as Venus. Trail fragmentation First time sighting! 22JUL2014 Victor Garcia Rexburg, Idaho. United States 1:30:00 3 seconds Fireball travelling E-W, Driving S-N Green tail, no sound Very bright. Close to the moon brightness No fragmentation It lit a big part of the sky green for good 3 seconds. Are we ready to face space Armageddon? One Italian manuscript stated that in one Milanese friar was killed by meteorite in 1677. One Ugandan boy was hit with tiny fragment of meteor in 1992. An iron meteorite nearly 7-feet long discovered on Martian surface by NASA rover. The iron-rich space rock has been dubbed "Lebanon" by scientists. 19JUL2014 A. Smith Maryville, Tennessee, USA 22:50:00 EASTERN about 5-10 seconds South to East Blue and White in colour. Long thin tail The moon when 3/4 full. Roughly. It looked like it was breaking up. It seemed much brighter and closer than I have ever seen here before.